In December 2011, a pair of data collectors came to Boston for a short, messy job. They made 29 different stops, moving through South Boston, Hyde Park, Dorchester, Roslindale, and parts of Brookline, systematically walking the neighborhood streets and picking up discarded cigarette packs. They collected 253 packs in all, which they sent to a research team in North Carolina. The researchers checked a small label affixed to the cellophane wrapper—the state excise tax stamp—and recorded what they found. Last month they published the startling results in the journal Tobacco Control: Of the cigarettes smoked in Boston, they estimate, nearly 40 percent arrive here through the black market. A “litter study,” as this method is called, isn’t a definitive measurement of trafficking rates. But the new report offers a fresh and alarming data point on a problem that state officials are deeply concerned about: Over the last two decades, smuggling has come to represent a surprisingly large part of the local cigarette market. It’s not just in Boston. The research team, led by Kevin Davis, an economist with the independent research institute RTI International, found estimated trafficking rates to be similarly high in several other northeastern cities, including New York (about 48 percent), Providence (30 to 55 percent), and Washington, D.C. (30 to 60 percent). 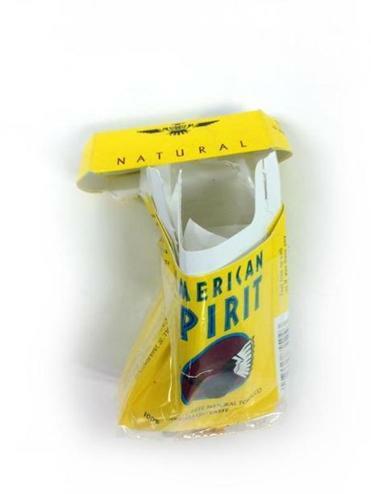 The origins of the out-of-state packs suggest the overwhelming majority of them are brought in by organized traffickers, rather than daytripping smokers. What’s driving the smuggling, both the researchers and officials agree, is taxes. High “sin taxes” like those on cigarettes are often seen as a double boon by policy makers—good for both public health and the government’s bottom line. But as states like Massachusetts and New York have raised their rates to historic highs, they’re creating a more and more lucrative market for smugglers who buy cigarettes in bulk in a low-tax state like New Hampshire or Pennsylvania, then sell them in a high-tax state, pocketing the difference. The costs of the booming illicit trade go beyond lost tax revenue. The larger the black market, the less control the state has over a closely regulated health hazard—and the more money ends up in the hands of criminals. The Bureau of Alcohol, Tobacco, Firearms and Explosives has tied cigarette smuggling operations to drug rings and organized crime. In Massachusetts, officials are concerned enough that they convened an Illegal Tobacco Commission, headed by Pitter, to recommend solutions. Its report is due next month, and is expected to recommend more resources for enforcement, a responsibility currently shared among a number of agencies, including the Department of Revenue, State Police, and the ATF. More enforcement is no doubt needed; the state brings relatively few cases against cigarette traffickers, and none in the last two years. But economists who have studied how retail prices affect smoking behavior also caution that once taxes get far enough out of whack among states, basic economic incentives almost guarantee a thriving black market—and, eventually, an arms race between enforcement and motivated cigarette traffickers. As the conflicting numbers suggest, rising taxes have helped turn black-market cigarettes into a problem that defies easy measurement, and one hard to solve simply by saying “stop.” For voters and state officials, its growth forces the question of how we weigh the social benefits of increased cigarette taxes against the mounting costs of the opportunities they create outside the law. Cigarette taxes have a long history in America—they date back to the Civil War, when the federal government first levied a cigarette tax of 8 cents per pack to fund the Union army—but stayed modest for more than a century. Not until the 1980s, when the health consequences of smoking had become indisputable, did they begin their modern jump. Following a 2009 increase, the federal cigarette tax stands at $1.01 per pack. States also got into the act; last July the Legislature raised the Massachusetts tax by a full dollar, to $3.51 per pack, the second highest after New York. Today about half of the $9.60 average price of a pack of premium cigarettes in Massachusetts goes to taxes. Though infuriating to smokers, high taxes seem to work: The state collects $660 million a year from tobacco taxes, and studies have shown that higher prices do reduce overall smoking, especially in kids. In the months after the July tax increase, official cigarette sales in Massachusetts dipped 15 percent compared to the year before. But the rise of cigarette taxes has another effect as well: It creates a wider opening for smugglers to profit. If at any point in the supply chain traffickers can introduce cigarettes the government doesn’t know about, and then sell them to smokers at a little less than full retail price, they effectively turn the tax rate into their profit margin. 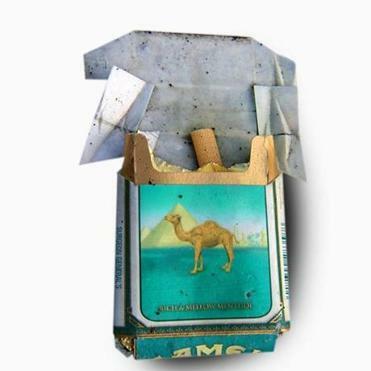 Cigarettes are relatively small, legal to manufacture, and easy to transport, making them a perfect product for smuggling. (Alcohol, though also heavily taxed, is heavier and harder to traffic; bottles break easily in transit). On the global level, cigarette smuggling has exploded over the past decade as the kind of large, organized, international syndicates we associate with illegal drug trafficking have gotten involved. One of the most notorious global traffickers is the Algerian terrorist Mokhtar Belmokhtar, otherwise known as “Mr. 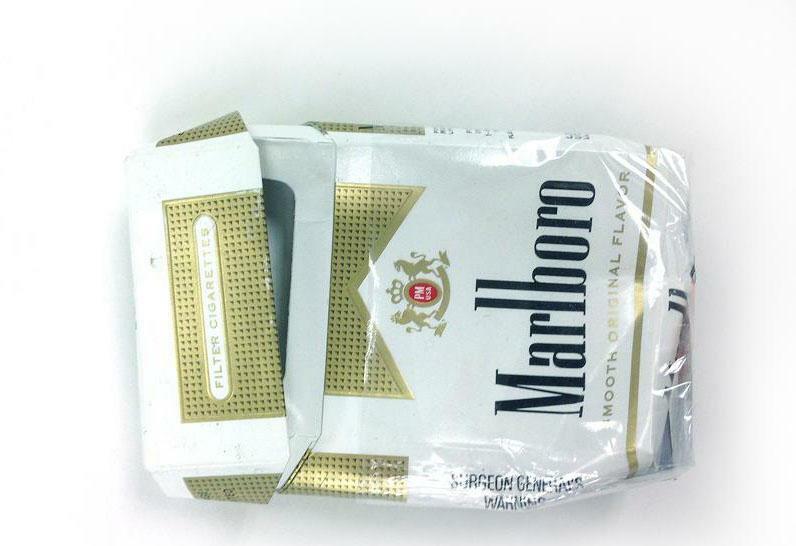 Marlboro” for the way he finances his operations. Experts estimate that it is more than a $100 billion industry worldwide, of which $5 billion to $10 billion is in the United States. A 2011 report from the Government Accountability Office detailed the different schemes American traffickers use. 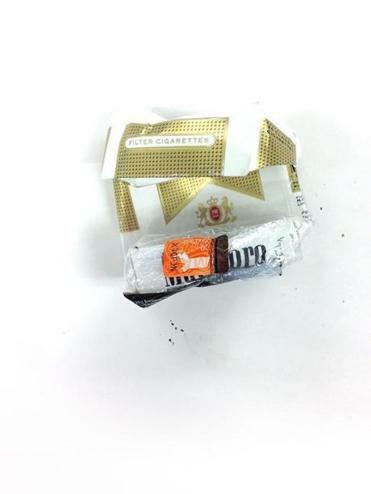 Some smuggle cigarettes into the country; others divert cigarettes manufactured at the estimated 15 to 18 factories on land controlled by the St. Regis Mohawk tribe in upstate New York, which are exempt from federal and state taxes. But the most common method in a city like Boston, say experts who’ve appeared before the Illegal Tobacco Commission, is simply to drive the cigarettes from one state to another and capture the difference between state taxes. “Low tax to high tax, that’s your bread-and-butter domestic trafficking,” says Jeff Cohen, lead attorney for the ATF in New England. In this scheme, traffickers acquire cases of cigarettes directly from wholesalers in low-tax states, or they organize “smurfing” expeditions—buying small quantities of cigarettes from retail stores and then heading across state lines once they’ve filled up a truck. Geography plays a big role: traffickers look to exploit large tax differentials between states that are close together. Today’s legal penalties reflect the days when tobacco trafficking was a cottage industry. Under current state law, there are two tiers of punishments for selling cigarettes without a Massachusetts tax stamp: Below 12,000 cigarettes, penalties include up to a year in jail and a $1,000 fine; above that number it becomes a felony offense with up to five years of jail time. Now that it’s a big business, officials think the response—at both the federal and state level—needs to increase proportionally. Pitter says she expects stiffer fines and penalties are surely going to be in the mix when the Illegal Tobacco Commission report comes out in March. Massachusetts already tries to limit the trade, by licensing tobacco suppliers and retailers, and investing in high-tech tax stamps that allow officials to track legally sold cigarettes. A typical case is one from 2009, when Thomas Lesperance was indicted for selling untaxed cigarettes—shipped to him from the Seneca Nation reservation in upstate New York—at his convenience stores in Chicopee and Springfield. But this is rare. Since 2009 the attorney general’s office has brought charges against just seven people for evading cigarette taxes, and it has made no indictments at all in the last two years. In this view, figuring out the right place to set a cigarette tax is less a matter of simply passing a law, and more about finding the right balance among public health, budget needs, and crime. Backing away from even a fairly high tax carries its own costs: A study published in the British Medical Journal reported that in the 1990s, when Canada sharply cut its tax out of concern about the black market, it saw both an uptick in teen smoking and a larger-than-expected drop in tax revenue. One solution to the trafficking problem would be to have other states increase their cigarette taxes, which is not likely to happen (“We can’t march into New Hampshire and say, ‘Can you do us a favor?’” Pitter says). Another would be to lower the Massachusetts rate, which is also not on the table. That leaves turning a blind eye to trafficking, or doubling down on trying to stop it—more money, more investigative tools, more personnel—knowing that as long as loading cigarettes into a trunk pays, someone is going to do it. Kevin Hartnett writes the Brainiac blog for Ideas. He can be reached at kshartnett18@gmail.com.